Welcome back. Today I have a special card that I want to share with you. It is a custom order for a co-worker whose son was married yesterday actually. I was honoured to make it for her. Her son's fiancee's heritage is Chinese and I know they are also having a traditional wedding in China next Spring. I did a little research and found out that the Chinese wedding colours are red and gold. I used them as the basis for my card. Image is Tiddly Inks Forever Yours. Gold paper is Kaiserkraft. 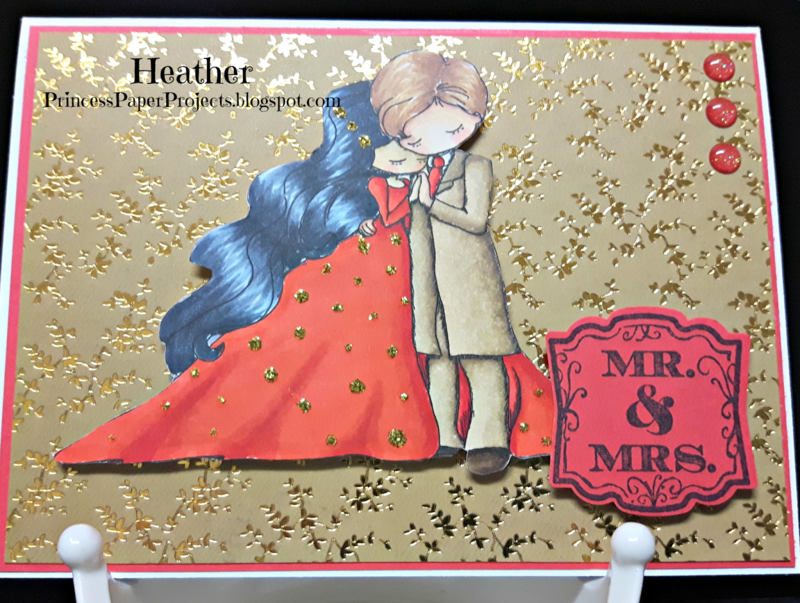 Mr. and Mrs. sentiment and tag are Stampin' Up Label Love. 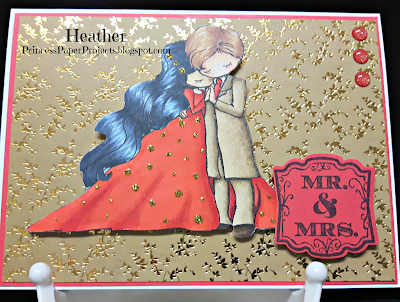 Gold stickles and red gum drops are the embellishments. Thanks for coming by once again.. Have a great weekend! !